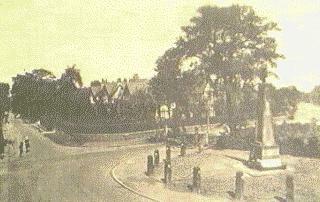 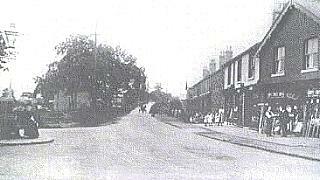 The cenotaph or war memorial was erected in 1919 at the junction of Station Road, Ravenoak Road and Manor Road. 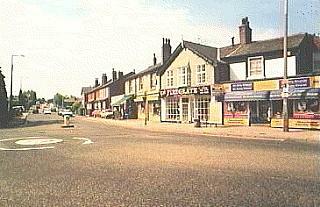 This crossroads also features a parade of shops and a Police Station. 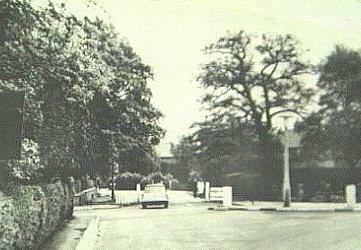 Ravenoak Road (originally Pump Lane) was very narrow and cobbled and formed a steep hump over the railway. 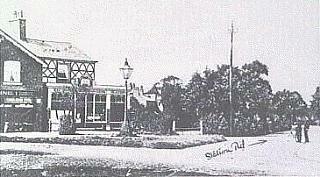 Its bridge was rebuilt in the 1930s.